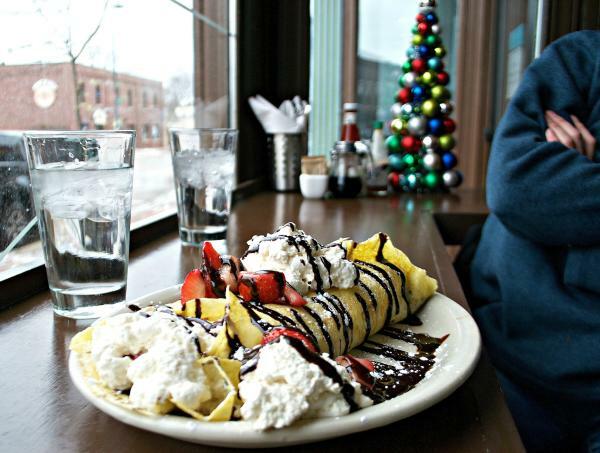 Here are four of the best restaurants in Eau Claire to indulge in your breakfast needs. First off is Lynn’s Chatterbox Café, which can be described as quaint, comfortable, and cute. The interior décor makes you feel like you’re in a café in small town, while the aroma of fresh food surrounds you. Lucky for me, I dined on a Thursday, which meant 2 for $2.00 pancakes that paired nicely with my caramel latte, which I would highly recommend. This café also features an exposed kitchen through which you can watch the workers drizzle frosting on freshly baked cinnamon rolls. Be sure to check out their menu online to see the many options that help make this café a favorite for locals. Second, we have Grand Avenue Café. This cute café just off of the river has a character that surely enhances your dining experience. This is the perfect place to sip on some coffee and peer out the windows or gather some friends for a breakfast date. 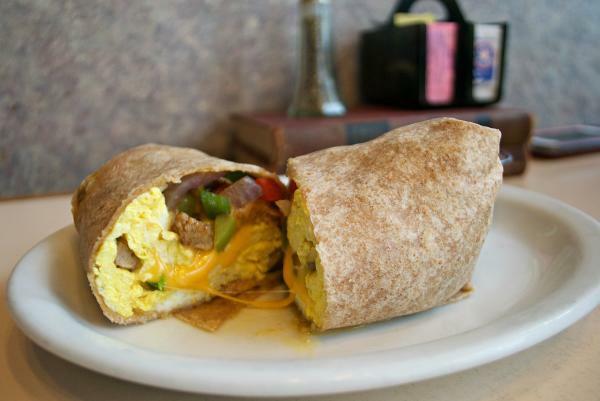 I tried the breakfast burrito, which was a perfect mix of eggs, veggies and cheese all wrapped up in a tortilla served with a side of salsa – YUM. If the burrito doesn’t suit your fancy, the muffins are a crowd pleaser, which come in a variety of delicious flavors. It’s easy to see why this one is an EC favorite. The next place worth a mention is the VFW located on Starr Avenue. 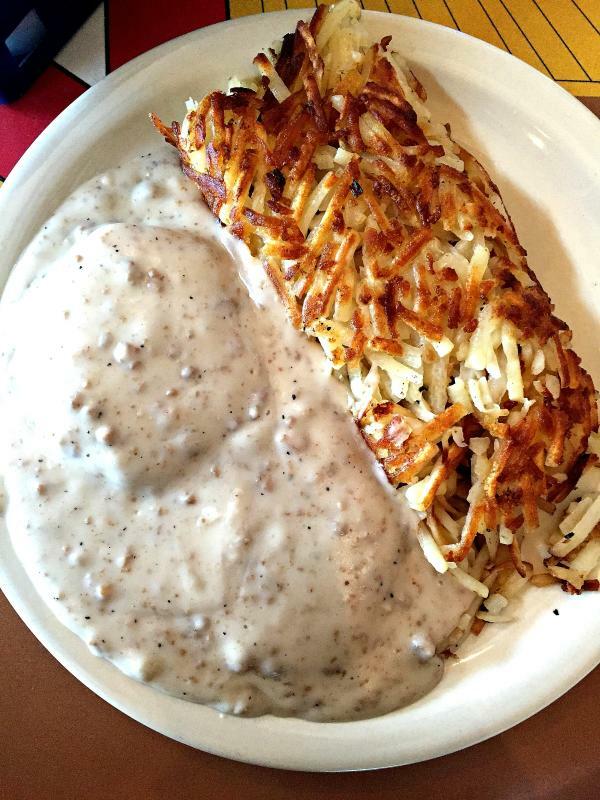 Perhaps underrated are their delicious biscuits and gravy, which were served with some crispy hash browns – yes, it’s as dreamy as it sounds. The waitresses are incredibly friendly and will gladly suggest some of their most popular dishes, served with a smile and some friendly conversation. If you have a large group of people, this is the place for you, as there is room for many in their dining room. EC Insider Tip: It overlooks a beautiful lake! So satisfy your appetite as you enjoy the views and pack on some delicious, and affordable, food. A blog about breakfasts in Eau Claire would, of course, not be complete with The Nucleus. This place is a must-see (and taste) for visitors and locals alike. My only complaint is that there isn’t enough room in my stomach for all of the tasty options. I tried the Strawberry Nutella Crepe, a favorite among the locals. It left me speechless, partially because of the taste but also because of the size of this beast. With whipped cream spewing out the sides and strawberries in every bite, I would highly recommend sharing this one with a fellow foodie. So, grab a window seat (optimal for people-watching on Water Street), take a peek at the diverse menu, sit back, and enjoy. 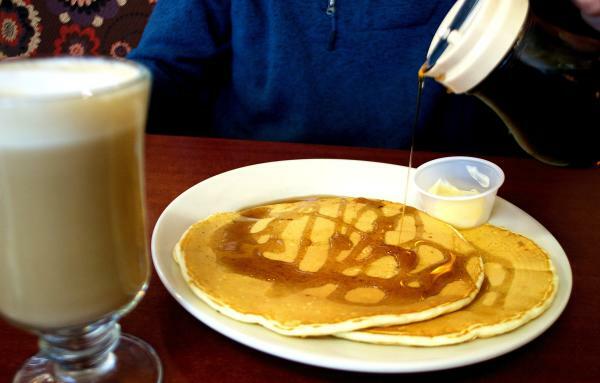 No matter if you are a sweet or a savory breakfast person, these Eau Claire Favorites are sure to hit the spot! If you find yourself enjoying the food and atmosphere, feel free to snap a pic and share it on Instagram with #CaptureEC so that we can see (and feature) all the local food you love!